As a supplement to roof repair, you can maximize your roof’s lifespan by observing a regular roof maintenance schedule. The easiest way to do this is to get a professional to inspect your roofing system for you, but if you know your way around a roof you can get some of this done yourself. In this post, A&A Services Home Improvement shares a simple maintenance checklist. Your flashings protect gaps, joints and openings in the roof and prevent water from leaking in through them. First, ensure that the flashing material isn’t made from something that can easily rust; if it is, check for any signs of oxidation, as this can be a sign that the section is compromised. Also check the sealant used to caulk the gaps beneath the flashing and the roof. If it’s starting to wear out, it may be time for a fresh application. This is a simple roof repair job that won’t require much effort, either from you or from a professional repairman. The next thing to look at are your shingles, keeping an eye out for any that are missing or broken due either to the weather or natural wear and tear. Damaged or missing shingles could also be a sign of faulty materials or a roof that wasn’t attached properly. While you’re at it, look around for shingles that are buckling, curling or blistering. Damage such as this isn’t just a cosmetic issue; it’s also problematic because it could indicate underlying problems such as moisture or ventilation issues that may require serious roof repair. Walking on your roof can be dangerous for both yourself and your shingles, so if you have a good roof-level ladder, content yourself with taking a look at things from the roof’s edge. Remember that It’s always best to leave the actual on-the-roof inspection to a specialist. Inspect the chimney caps and the flashing around vent pipes. The caps could be missing or damaged as a result of high winds or even old age, which could be instrumental in the formation of chimney leaks if not repaired. The rubber boots around vent pipes could also be cracked due to age, exposing the gaps between the roof and the pipes, which could also be a source of leak formation. Moss and lichen are different from algae; while all three are unsightly and can mean that your roof is retaining too much moisture, moss and lichen are growths that can actually lead to roofing issues. This is because they have roots that can slowly compromise the structural integrity of your shingles. In addition, they also make traversing the roof difficult. 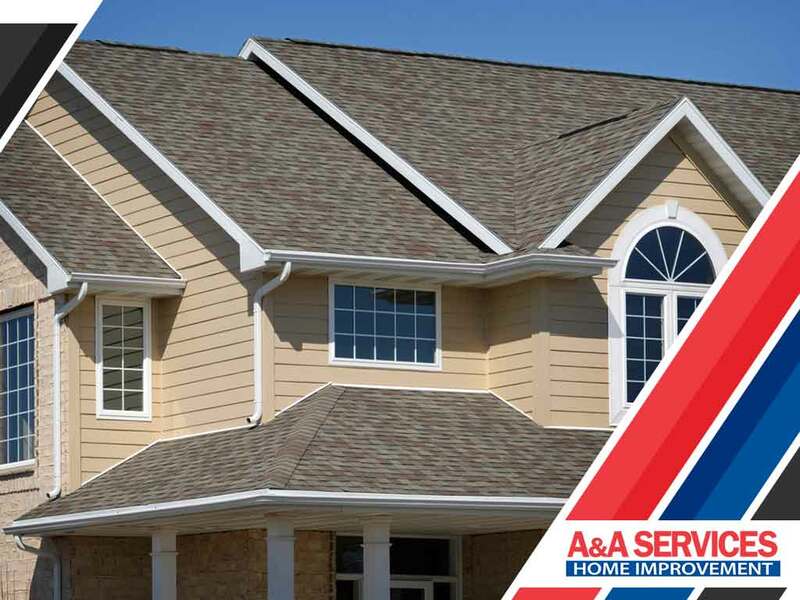 If you need professional help in conducting your roof inspection, get in touch with A&A Services Home Improvement. Our experts are trained in spotting roof issues and properly addressing them quickly and efficiently. You can set up a meeting by calling us at (978) 219-2343 or by filling out our contact form. We serve residents of Salem, Peabody, and Andover.